The creator of crispy chicken that’s larger than your face ! 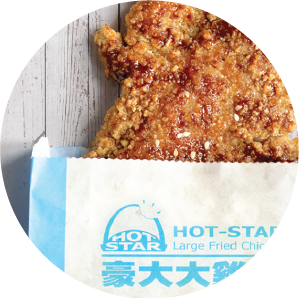 Hot Star Large Fried Chicken was born in 1992 in Taiwan and has been selling extra-large fried chickencutlets ever since! Hot Star’s chicken cutlets are at least 30 cm in size and are so tender and juicy, thatyou will fall in love with them with every bite! Hot-Star Large Fried Chicken, the creator of the larger-than-your-face crispy chicken and the mostpopular Taipei Shi-Lin Night Market snack, is here in Ontario! You can now satisfy your craving forauthentic Taiwanese oversized crispy chicken that is oh-so-moist and tender on the inside and deep-fried to perfection with a burst of flavours on the outside at any of our locations in Ontario, Canada. Hot Star sold Taiwan’s 1st large fried chicken in front of a 7-11 building. Hot Star set up its 1st booth at Shilin Night Market, and rapidly became the “Hot star” amongst the famous snacks in Shilin Night Market. 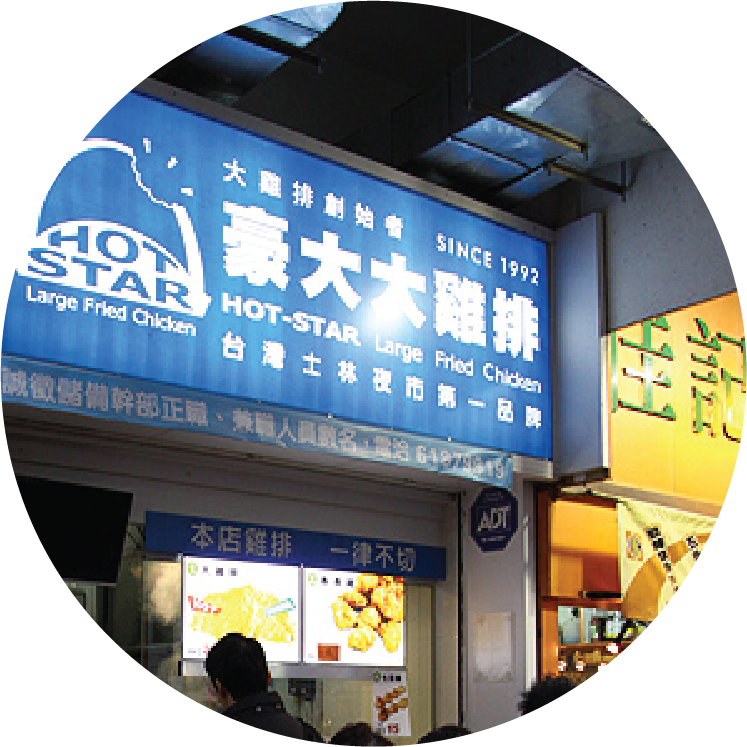 Hot-Star Large Fried Chicken adapted the CIS system to establish its position in the market with its uniqueness. Registered trademarks in Korea, Japan, Singapore, China and Hong Kong in 2003. Actively developed multifunctional stores and a wider range of products, so consumers can have agreater variety of choices. 1st direct-sale store in Mong Kok, Hong Kong was launched. Became the #1 Fried Chicken store with a story on the big screen - the “Night Market Hero” movie in2011. Established our position in the South East Asia market in 2011 with our 1st overseas franchise store inSingapore. 2nd overseas licensing secured in Malaysia within the same year, which consolidated our position withinthe market. 1st Hot Star store launched in Shanghai, China, as well as the third overseas franchise store in Indonesia. Issue of our fourth and fifth overseas licensing stores in Philippines and Australia. Our 6th overseas franchise store in Thailand as we continued to expand within South East Asiamarket. Our 7th overseas franchise store was launched in Canada. Our 8th overseas franchise store was launched in Southern California as our popularity grew in NorthAmerica market. 2018 © Hot-Star Canada. All Rights Reserved.